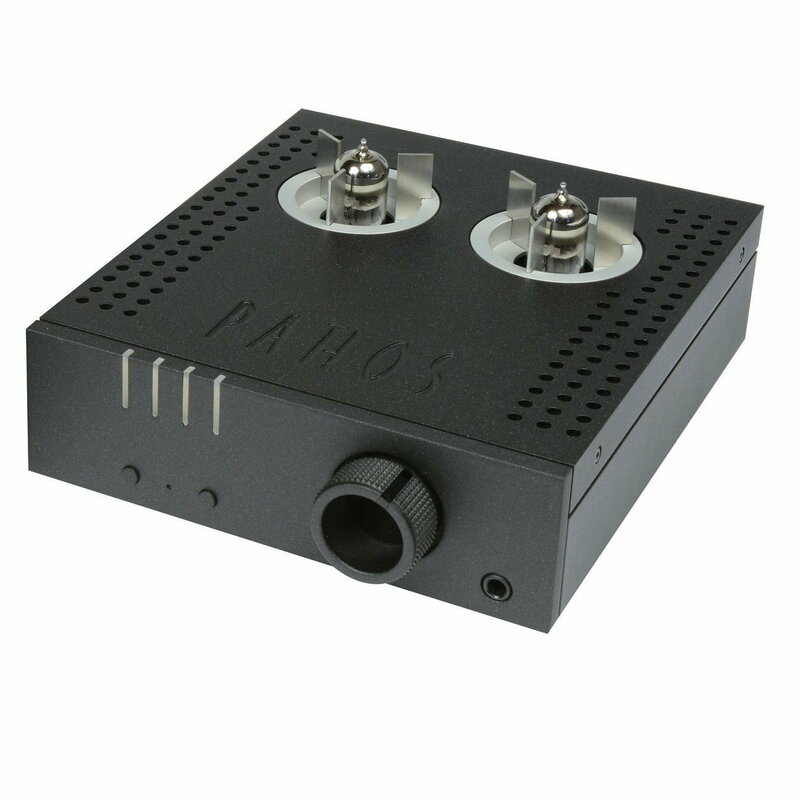 Pure class A, tube preamp stage and MOS-FET power stage, zero feedback, the Aurium performs what audiophiles are used to from Pathos: exquisite musicality, transparency, dynamics and total lack of listening fatigue. 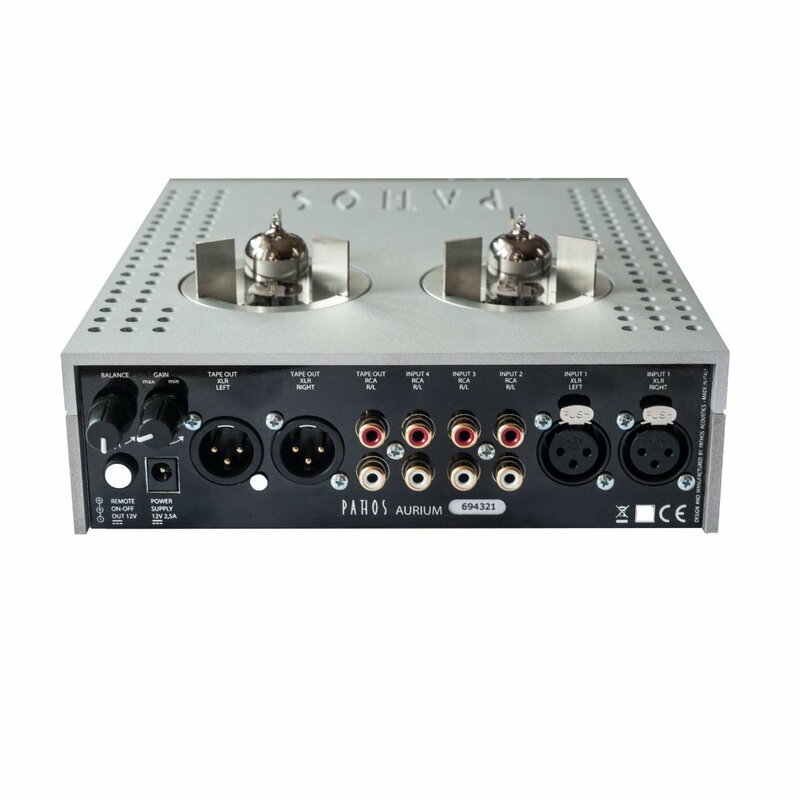 Equally adept at driving most any headpone, the Aurium adds the flexibility of impedance matching with adjustablity from 16 to 1,000 Ohm. 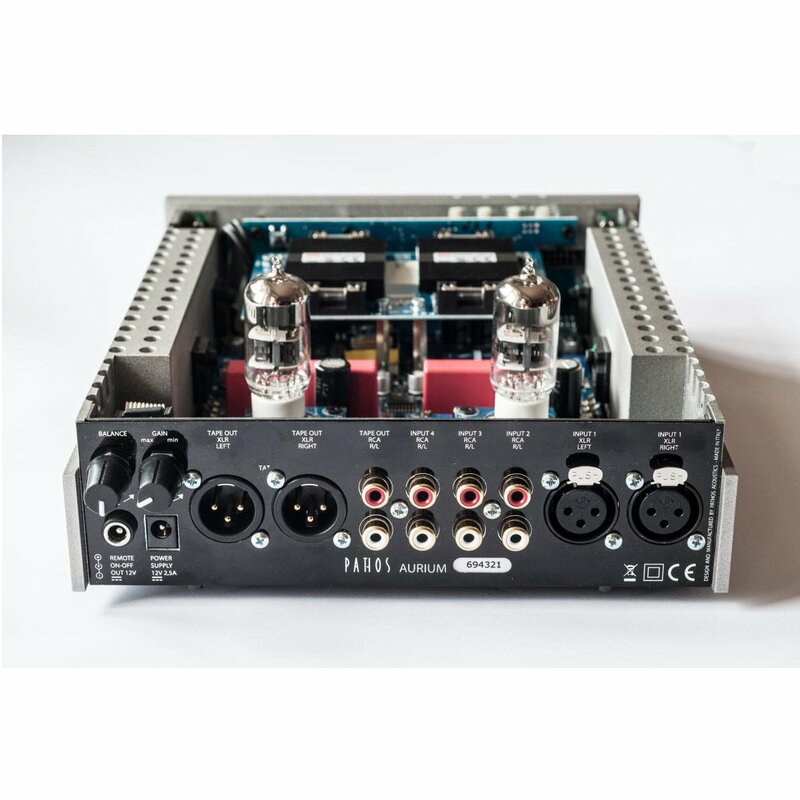 The volume control - a critical component in every amp - is operated by means of a high precision Burr-Brown device. What Hi-Fi? 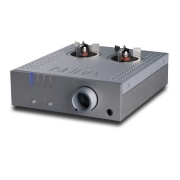 : “We like this headphone amplifier a lot. The sound is a wonderfully seductive combination of transparency and grip. From the midrange upwards the Aurium is as detailed as you like. “Listen to the violin in Arvo Part’s Fratres and the clarity is spellbinding. 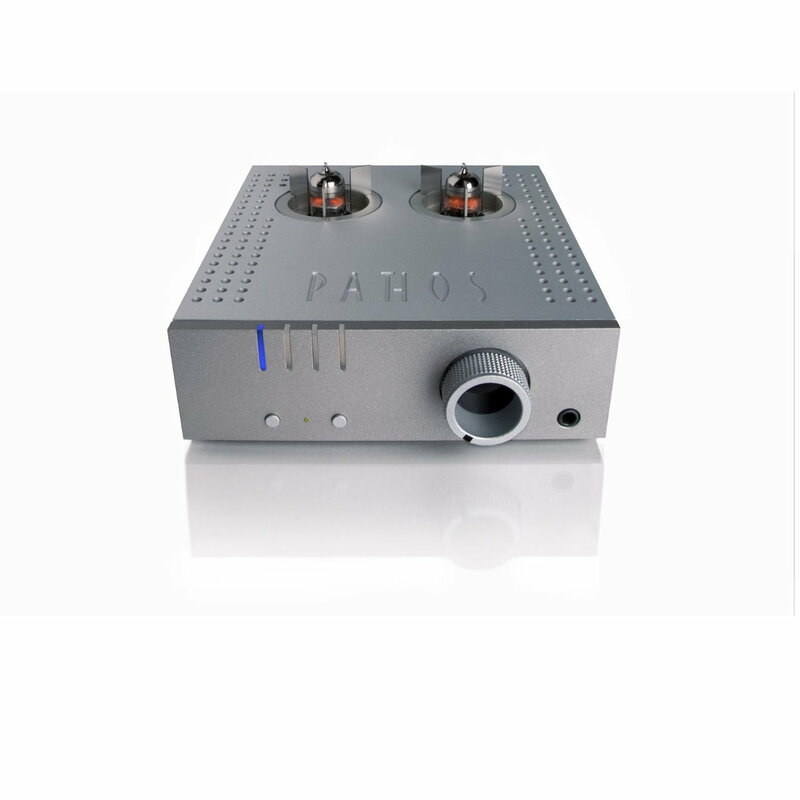 Not only does the amp have a firm grip of the leading and trailing edges of each note played, it shades the bits in between, revealing far more of the sonic texture of the instrument in the process. “The same applies to vocals, as a 24-Bit/44.1kHz of the Unthanks’ Here’s the Tender Coming shows. On this track, the group’s voices sound as subtle and communicative as we’ve heard through headphones, possessing a good degree of solidity and weight too. Thankfully, despite resolving plenty of detail the Aurium sound never feels clinical or overtly analytical. 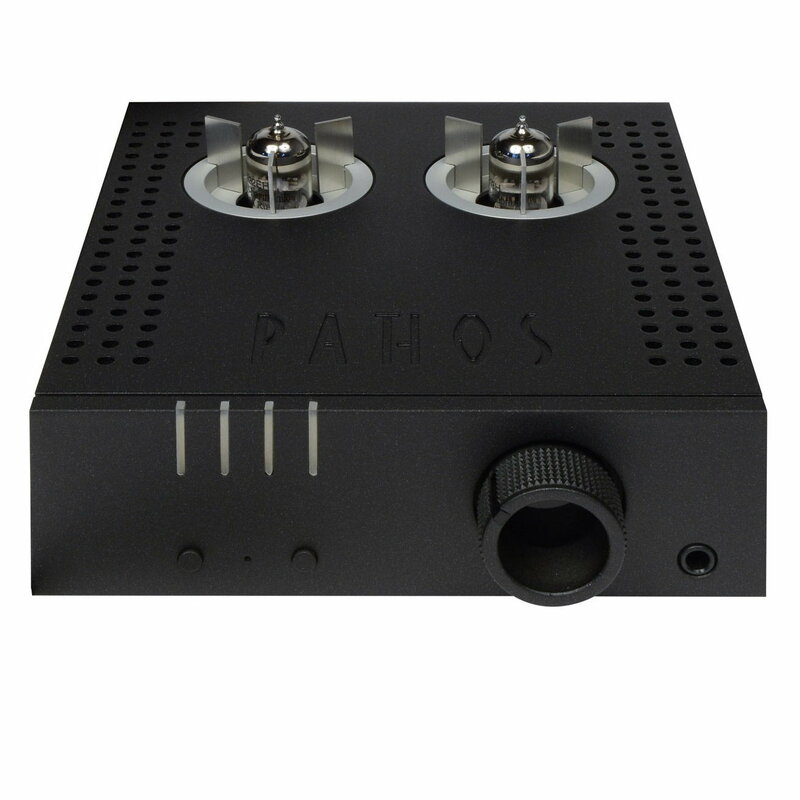 “It’s at bass frequencies that this Pathos surprises, and the solid-state part of its circuit makes itself felt. The lows on The Dead Weather’s 60 Feet Tall are a taut as you like, and pack a hefty punch with it. There’s everything you’d want in a bass performance; power, reach and agility. 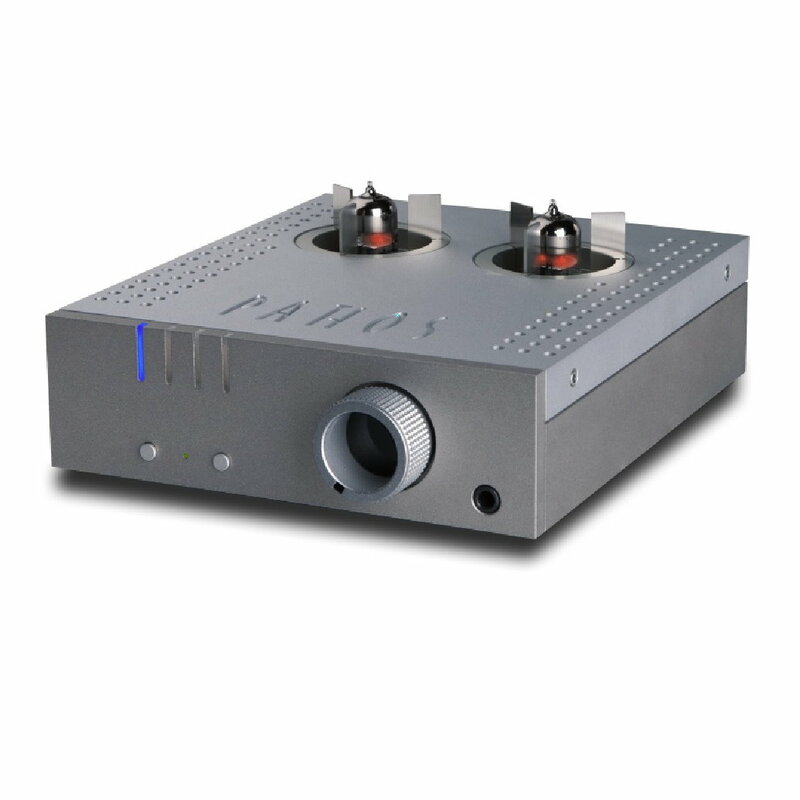 Soundstage Experience: “The Pathos Acoustics Aurium headphone amplifier integrated perfectly with my home head-fi system, fitting neatly in a corner of my desktop between my iMac and five-shelf audio rack. It performed capably with three different headphones, each with a different sonic signature and power needs. Aside from the first sample’s faulty Balance control, I encountered no problems with its operation. I adored its looks. And I loved its sound, which served every kind of music equally well.